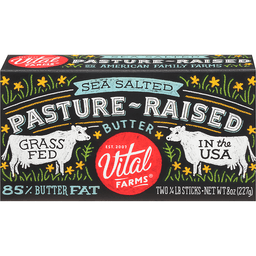 Kate's® Creamery Sea Salted 100% Pure Butter. 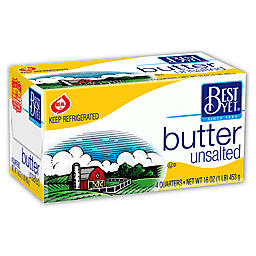 Keeps butter fresher & protects flavor. Farm made in Maine. No artificial growth hormones. Gluten free. 1 first place world dairy expo. 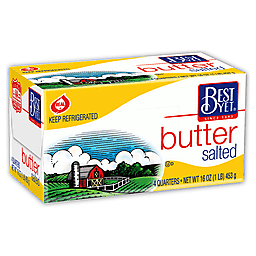 Salted butter. Real simple magazine. Best of the best. 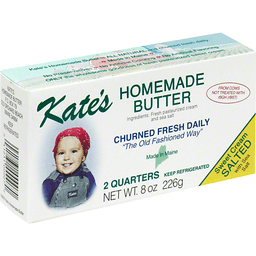 Kate's Creamery farm made butter: Kate's Creamery butter is made fresh daily by the Patry family in Arundel, Maine. 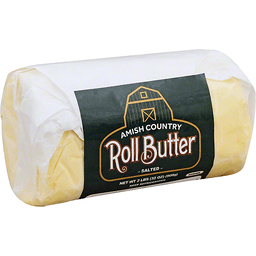 Our butter is made from fresh cream that is gathered from farms that do not treat their cows with "artificial growth hormones." 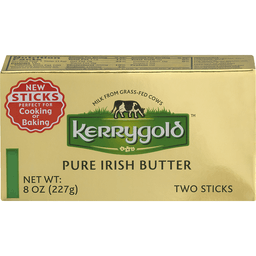 The cream is then carefully churned in small batches into butter the same way we have made it for over 35 years. Kate's is 100% natural. 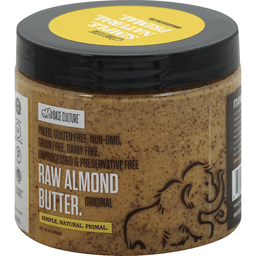 We do not use artificial ingredients, preservatives or add any oils, so all you taste is the creamy natural flavor of real butter. We promise to keep it that way! Whether you're enjoying a morning muffin, baking a family favorite, or serving garden fresh vegetables, you'll savor the delicious taste of Kate's in every bite. Thank you for choosing Kate's Creamery Butter. Enjoy! 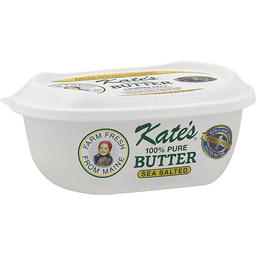 Kate's 100% pure butter is all natural. Never frozen. No preservatives. No oil additives. No artificial coloring or flavoring. 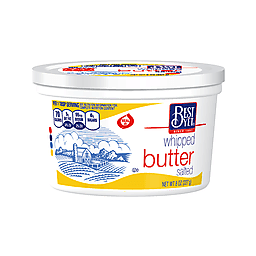 Only the wholesome goodness of fresh pasteurized sweet cream and sea salt. www.katescreamery.com. ©2015 Kate's Creamery.